This meat grinder plate is made from the finest drop-forged steel and hardened for added durability. 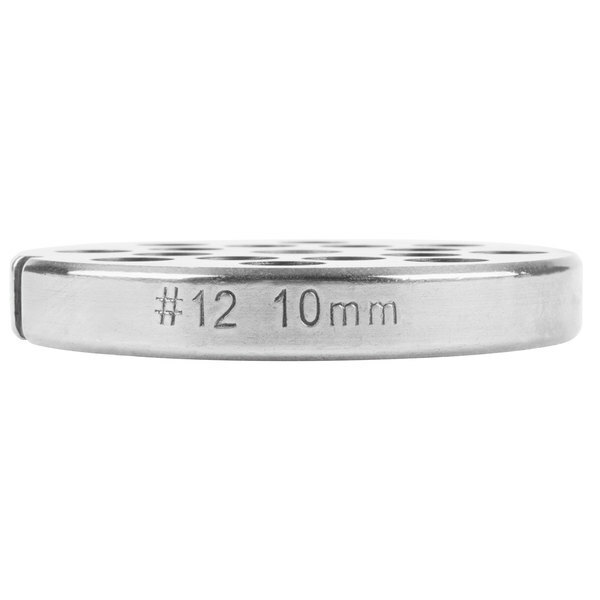 Solid, one-piece and easy to clean, this item is to be used with #12 meat grinders. This meat grinder plate is ideal for low volume delis, restaurants, hotels, butcher shops and supermarkets. It is best suited for first grinds, chili, chorizo, and linguisa. 3/8" hole. 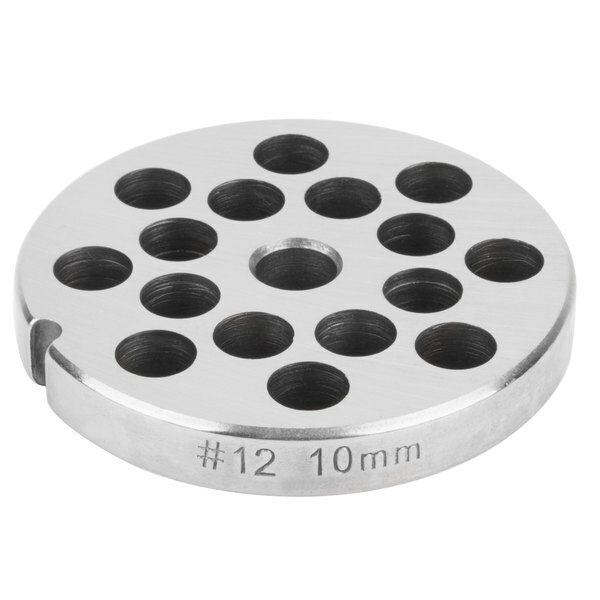 The 3/8" meat grinder plate #12 is also known as a 3/8" hubless carbon steel machine plate #12. 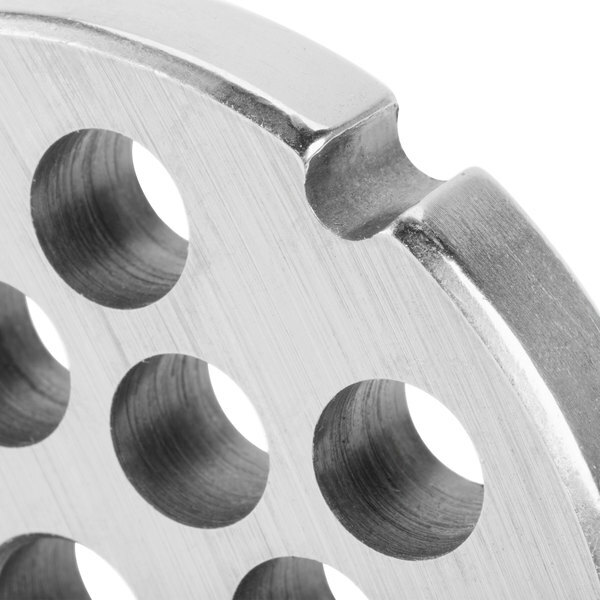 This 3/8 inch hole meat grinder works very well in our #12 meat grinder. TRUELY agreat value at this price. 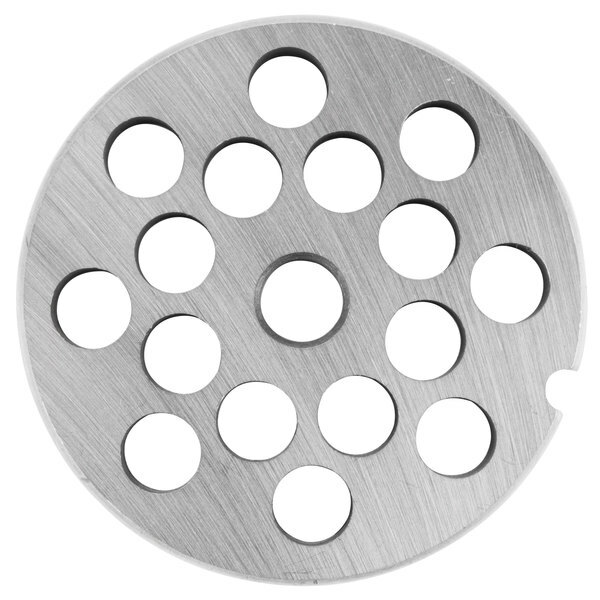 These grinder plates seem very durable. No complaints so far. Works great for a more fine sausage or for pepperoni. Something that you wish to girnd a bit smaller. Ours have held up very well.